The Tyrconnell® is proud to announce the debut of one of the most aged expressions within its cask finish portfolio, The Tyrconnell® 15 Year Old Madeira Cask Finish Single Malt Irish Whiskey. Released to select U.S. markets this month with a suggested retail price of $100 (750ml), only a limited quantity has been produced due to its age and unique finish. 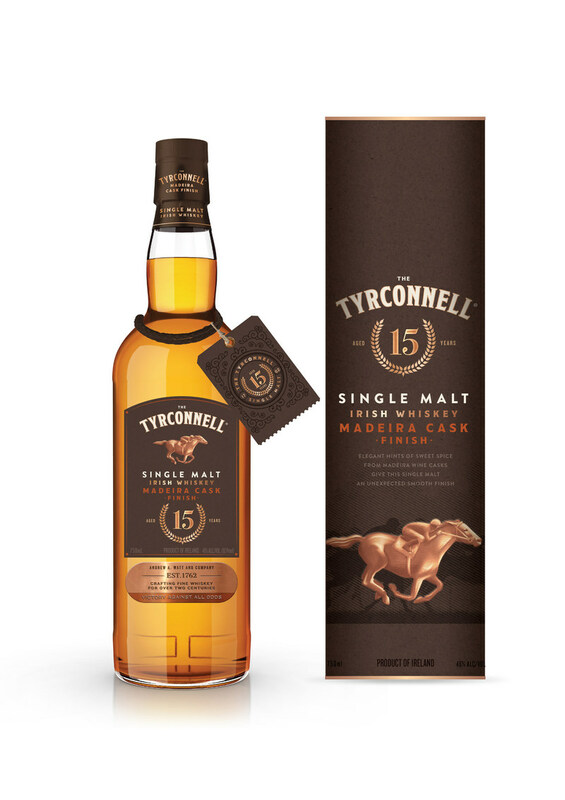 Aged for 15 years in American White Oak ex-bourbon barrels and then finished in Madeira wine casks from Portugal'sMadeira Island, The Tyrconnell 15 Year Old Madeira Cask Finish is a one-of-a-kind Irish whiskey with an unsurpassed richness and complexity. It is the oldest Madeira cask finished Tyrconnell released.